Includes full service upgrade for the internal Barnsley BIC telephone line. Monthly terms available - only 30 days notice required for cancellation. Free wireless available with a 12 month term and payments by Direct Debit. No setup fees and a 28 day money back guarentee. Unlimited internet service. 99% uptime guarantee. Service is delivered to a single cat5 port. Dedicated telephone number available at no extra cost. Voicemail and 3 way conferencing available at no extra cost. * Quoted speeds are the maximum possible speed. Actual speed at any given time is variable and dependent on other factors both inside the Barnsley BIC, and outside on the internet. ^ Bandwidth on dedicated products is prioritized and reserved so under normal conditions, should always deliver >=90% performance at the local side of the link. If you want to connect anything other than a single wired PC to your internet service, or you want to have multiple phones installed you are going to need a network switch (to split the single port into multiple), a wireless access point (to enable you to connect wireless devices), or both. There are lots of options available for wireless access points and switches, depending on the quality of products and types of services required. Some switches are capable of providing power to devices such as phones and wireless access points to save the need to have lots of power supplies for each device. Please contact us if you would like us to asses your requirements and provide a quote for a suitable switch/access point. The options to the right are generally suitable for a small to medium size office at Barnsley BIC. Calls rates to all other destinations vary significantly. * If you wish to bring your own number to be used in place of the number provided free as part of the internet package then the setup fee applies for the transfer, but you will not be charged the monthly rental once transferred. These services are provided off the back of an enterprise grade (Dedicated Fibre-Optic) back-end. We also use modern VoIP technologies and Cisco networking products to deliver a high quality service. All internet services include a telephone line as standard. Additional telephone services can easily be added as required. All internet and phone services are engineer installed in your office to ensure proper operation from day 1. We also offer a range of partially and fully managed ICT packages (see below) to expand your managed telecoms and internet service to cover all of your IT needs. Even if you are still under contract with your current supplier, we would ask that you get in touch if you have any interest in our services as we may well still be able to help you. If you have any questions then please do contact a Barnsley BIC representative or simply ask at reception. You can email telecoms@barnsleybic.co.uk or you are welcome to call us directly on 01226 285600 (Or internally on 2452) with any questions. If you are an existing or upcoming Barnsley BIC tenant and simply want to place an order then simply click on the order button nearer the top of this page and fill in the form. We will liaise with Barnsley BIC and/or yourselves directly for installation dates, location and access. If you are unsure about what products to select on the form then simply do not select any products, fill in the contact details and put "call me" in the comments box. With the completed order form in place we can open your account and handle product choices over the phone. Above all, if you are not sure then please do get in touch. We are more than happy to sit down with you, explain what we have to offer and discuss your requirements. Most services on this page include a 28 day Money-Back Guarantee offer with them. This allows you to cancel a service within 28 Days of ordering and get a full refund. This service does not apply to all products, there are limitations and exclusions do apply so please read this section carefully before purchasing. To qualify for the refund you must cancel your service within 28 days by raising a support ticket on our helpdesk and have returned to us any supplied equipment by that date. (ie. If you were provided a free wireless access point with the service, it must be returned if you cancel the service within the 28 day period.) 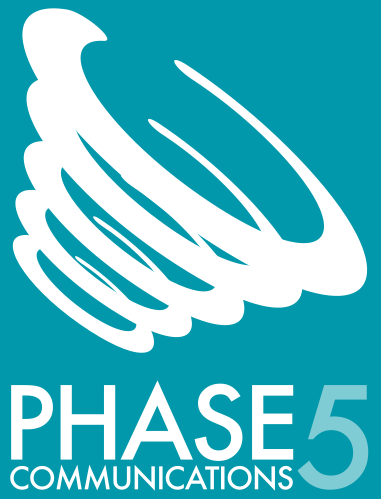 If you are unable to access our online helpdesk for any reason then send an email to support@phase5.co.uk as an alternative, and possibly give us a quick call to verify receipt. Your request must; 1) specify exactly which services you wish to cancel, along with any invoice numbers; 2) state that you want to make use of the money back offer and 3) be received by us not more than 28 days from the date on your first invoice for the service. If you raise a ticket on our support system then you should promptly receive an email confirmation. Please be aware that we will decline any requests that are received after the 28th day following the invoice date. Please also note that you can only use this offer once in any calendar year, unless we expressly agree otherwise. Telephone calls are charged at a flat rate for geographical landline, mobile* and many international numbers in over 30 countries. (*Mobile does not include some premium services, and smaller mobile networks) Calls to other destinations vary significantly. A full list of current pricing is available on request. For each call made (except to UK Freephone numbers and some other special numbers) we charge a call setup fee when the call connects, and then a charge per minute for the duration of the call. The flat rate for calls placed on the *free* Barnsley BIC telephone line 25p per minute, with a 25p call setup charge. You can upgrade this line to get reduced call rates by purchasing your first paid line, or taking out one of the internet services above. The flat rate for any calls placed on any line which you pay a line rental for is 4p per minute, with a 5p call setup charge. Line rental is £5 per month, per line. Do you offer call packages with inclusive minutes? At this time we do not offer such packages. If you are going to be a high volume user and would be interested in such a package then please contact us to discuss. The possibility of introducing such packages in the future is being considered. When checked at the time of writing (in January 2019) and BT were quoting £18.50 for rental of a single basic line, and their flat rate calls on that basic line are advertised at 28p per minute for geographical and mobile calls. International calls start at £0.75 per minute. The above BT pricing is based on being out of contract and using services for a business, to provide a like for like comparison. When comparing to our rates above we are significantly cheaper than BT in almost all areas at present. Can I have my own phone number? Yes. You have the option to either transfer over an existing number, or take out a new one with us. If you take any of the above broadband packages, the first number we issue for you in free. We refer to external facing numbers as DDI’s, or sometimes “Direct Dial”. We are able to provide a range of local numbers from most area’s of the UK. Can I have more than one line? Yes. We can install additional extensions on request. You can make calls from all installed extensions at the same time if required, and each line will have its own internal number so that you can transfer calls internally. When you first move in, you are provided with a loan telephone handset and a free line. You can continue to use the loan handset but if you wish to have more than one line operating, you need to first upgrade the free line to a full line. The first paid line you order replaces the free service. You can then order as many more lines as you require. You may need some basic internal wiring to be able to plug them all in, but we will help you with that when you contact us. How long does it take to get the service installed? Your Barnsley BIC provided *free* line will be activated on the day you move into your new office. If you request this line be upgraded at some point after moving in, then we can often complete this within 1 working day. For any additional lines/services, you should assume a 5 working day lead time from the point of order. In many cases, it will be faster than this but sometimes we will need to involve 3rd party suppliers and so may have their lead times to accommodate, as well as allow time for couriers to deliver goods to us. 5 working days is usually a reasonably safe estimate. If you have not yet moved in, then please do get in touch before you arrive so that we can get things moving in advance.